IT WAS MY GYPSY WEEK! 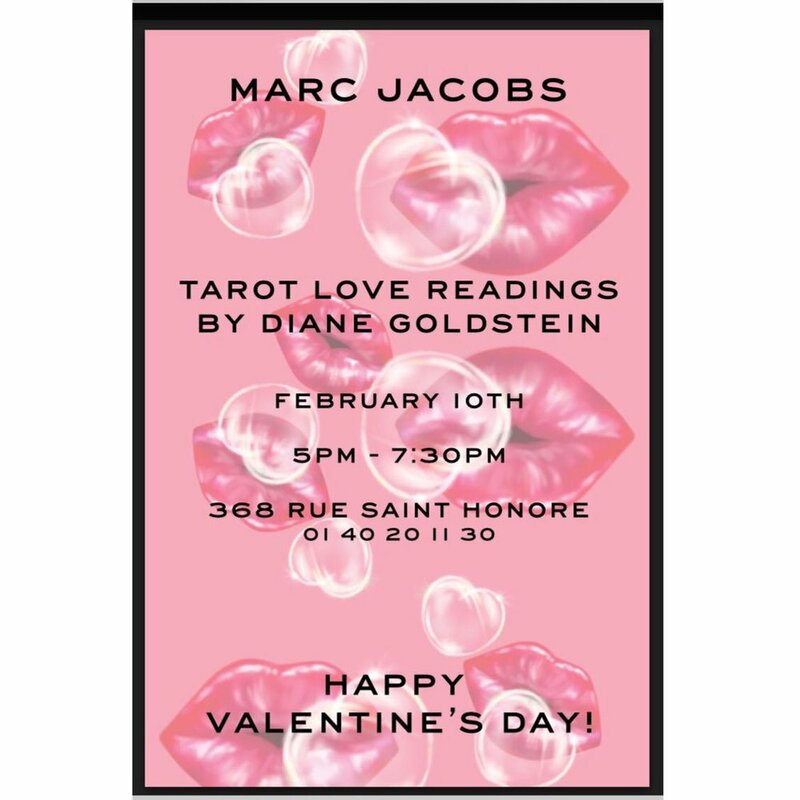 In order to celebrate Valentine's day, I was invited by Marc Jacobs, to host a tarot spread, as a special guest, in the Paris boutique, rue Saint Honoré. 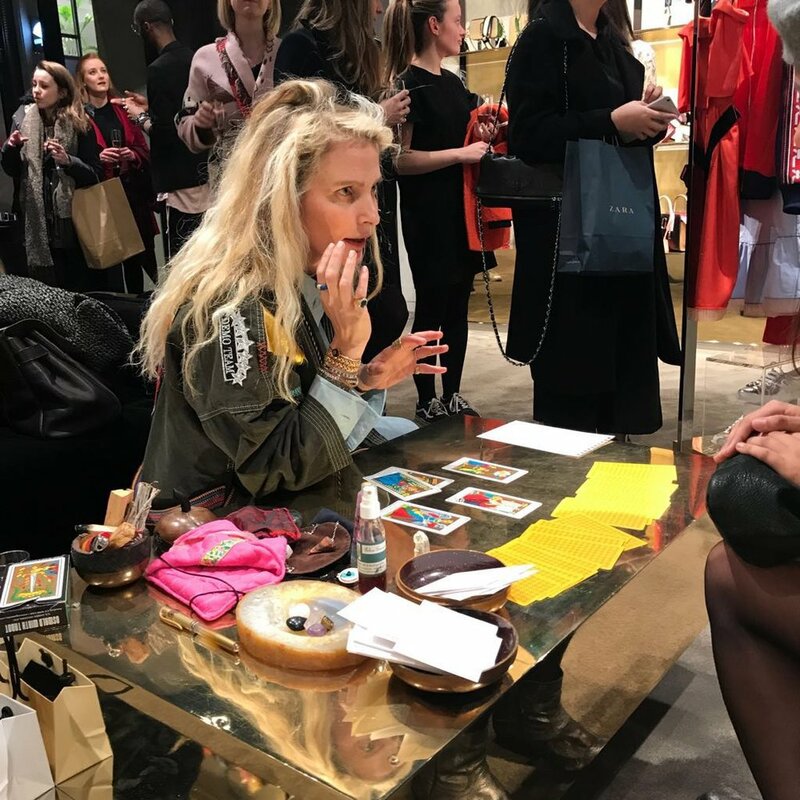 I took my precious cards, my pendulum, and arrived a bit late ( what can i say ? I didn't remember where I had parked my car), ready for a super duper good vibes afternoon party. my white crystal, whose virtues intensify radiance, insight, and clear all enegies. and last but not least, my Fluorite, like a sliced watermelon, used for concentration and spiritual perception. I know , i know it seems such a big deal, but believe me , it's not , and moreover, it's essential! by the way, I'm sure you're aware of it, but still, i'd rather tell you, you absolutely need to own some Sage, in order to cleanse and protect your home. At the end of the day, I honestly was a bit tired, but it was so much worth it: to see all those smiles, pure souls, and hear their gratitudes, was the best reward ever !